I’m at my wits end with my husband. First, he went for a few years with no bottom teeth. I finally talked him into getting dentures and now he won’t wear them. When he does, he takes them out when we eat. It’s disgusting enough at home, but when we’re out, he just sets them on the table for all and sundry to see. When I ask him why he said food get under them and they move when he chews. Any advice? So you’re not too hard on your husband, many denture patients feel the same way as he does. Even the best fitting dentures reduce your chewing capacity by 50%. If they’re ill-fitting, as it sounds your husband’s dentures are, then it’s even worse. The first thing I recommend is for your husband to get his dentures more properly fitted. His dentist should do that for free. That’s actually a short-term solution, but it’s free and it will improve the situation. It won’t fix it and he still won’t love his dentures. It’s just to help in the meantime. For the long term, I’d highly recommend he invests in implant overdentures, pictured above. This uses four to six dental implants and secures the dentures to them. The first obvious benefit is they’re secured. Your husband mentioned that his dentures move. With implant overdentures that will not happen. They are completely secure. Another benefit is his chewing capacity will be greatly increased. He’ll feel like he has regular teeth again. However, the biggest benefit has nothing to do with movement or chewing. It can literally save his jawbone. When his teeth were removed, his body began to reabsorb the minerals in his jawbone, thinking he no longer needs them because the roots of his teeth are gone. However, that causes his jawbone to shrink. This is known as facial collapse. Not only does this make him look years older than he is, but there’s a much more serious (and dangerous) consequence. Eventually, there won’t be enough jawbone left for him to even retain his dentures, making him unable to eat and reduced to a liquid diet. This can devastate his health. The sooner he does this the better because he’s already losing bone structure. Can Dentures Cause the Corners of Your Mouth to Crack? I’ve had dentures for a year or so now, but recently the corners of my mouth have started hurting and cracking. Is this because of my dentures or is something else going on? It’s hurting every time I open my mouth now. I’m scared to tell my daughter because she keeps trying to put me in a home because she thinks I can’t care for myself but I can. Long-term use of dentures leads to facial collapse. I’m very sorry you’re going through this. You shouldn’t have to be afraid to talk to your daughter. You also shouldn’t have to be in pain every time you open your mouth. It seems to me that you are suffering from a condition known as Angular Cheilitis. There are quite a few things which can cause it. However, because it started after you got dentures, that’s what I want you to get checked first. Ill-fitting dentures cause lots of problems, including this issue. One thing to consider is the length of time you’ll be wearing dentures. They have a dangerous side effect after wearing them for a few years. As soon as your teeth were removed, your body reabsorbs the minerals normally used by your jawbone to support your teeth roots. But, recognizing you no longer have those teeth your body shares those minerals where it determines they’ll be more useful. While efficient for your body, it does have the unfortunate result of shrinking your jawbone. Eventually, you won’t have enough jawbone left to keep your denture in place, essentially making you a denture cripple. This is known as facial collapse. Your dentist should have warned you about this before you made a decision on your tooth replacement, along with your other options. Truthfully, dentists are ethically bound to give you all your options so hopefully, you had an ethical dentist. On the off-chance your dentist was lazy that day, let me tell you about one of your options which will completely protect you from facial collapse. Dental implants place prosthetic roots into your jawbone which function the way the roots of your teeth used to. This helps your body recognize your jaw is still a necessary part of your body. 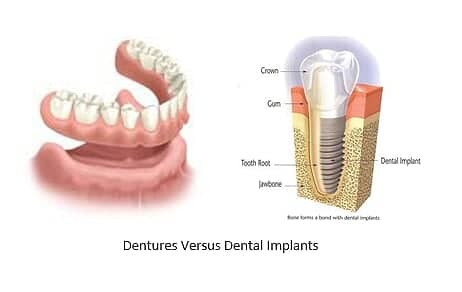 When you have your dentist check the fit of your dentures because of the sores in the corners of your mouth, ask him whether you’re a good candidate for dental implants. Dentures at 25 Would Be a Disaster! I grew up never going to the dentist. I’m 25 years old now. It’d never been a problem until a few months ago. I had a tooth start bothering me. I saved up and went to the dentist. He offered to look at all my teeth seeing as it was my first dental visit. I agreed. When he was finished, he told me my teeth were a disaster and I needed to pull them all and get dentures. I froze and couldn’t believe my ears. He was pushing me to do it right then. That’s when I started crying. He told me to stop blubbering and if I’d taken care of my teeth I wouldn’t be in this situation. I let them pull the one tooth which bothered me, but told him I’d think about the others. They pressured me to schedule that appointment. I did, but only to get out of there. I don’t like the way they treated me, so even if I go through with this I won’t go to that office. I guess I want to know is if there’s a way to tell if dentures are my only option. Can you help me? It saddens me that your first experience with a dentist was such a negative one. I want you to know that not all dentists are this insensitive to patients, especially patients in distress. To get a full set of dentures at the age of 25 would be disastrous for you in the long term. I’m shocked that was his recommendation to you, especially given your age, which will doom you to facial collapse. I’m also uncomfortable he pressured you to decide right then without even giving you the other options available to you. That’s unethical. You’re wise to go to a different practice. In fact, that’s my recommendation to you. I want you to get a completely new check-up somewhere else. Don’t tell them it’s a second opinion. You don’t want to bias them in any way. Instead, just go as a new patient. You’ll find that most dentists prefer to save as many teeth as possible, even if it’s just one or two teeth. Even if you do need to have teeth extracted, they’d be much more likely to recommend you get dental implants, which is much better for your teeth and health overall. You’re starting from scratch with your dental care, which is not anything to feel guilty about. Your parents never took you so you would never consider it a priority when you first set out on your own. But, because of that, you’re likely to need some extra work done at first. You might consider looking into dental insurance policies. They often don’t cost too much and can save you some money if you need a lot of work done. Be careful, though, some of them have a waiting period before you get the work done. Even if you can’t get insurance. There are ways to phase your treatment. Have the dentist list out what work you need in order of urgency. Then you can work on each need as you’re able. Don’t beat yourself up too much. It’s admirable you’re trying to get on track now. Be patient with yourself. Also, sedation dentistry will allow you to get more work done at each individual appointment, comfortably. Can My Dentures Look Like My Old Smile? I’ve had dentures for about a year. They’re not the greatest thing, but they’re not the worst either. At least I have teeth. I lost my teeth after a severe beating. I was ashamed to smile for a long time. I can smile now. The only thing is, it’s not really my smile. Is it possible to get these dentures to look like my old smile before the thing that took them if I showed my dentist a picture? I can’t imagine what you’ve been through. I’m incredibly sorry. While it is possible to get dentures to look exactly like your old smile, it will take a new set of dentures to do it. 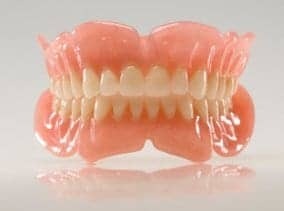 I don’t know who did your dentures, but they should have asked you what you wanted your dentures to look like before they started them. It’s possible they did and you were so traumatized that you weren’t able to communicate well. But, based on your question I’m guessing he didn’t. The first thing I’d do in your place is find an expert cosmetic dentist. Look on the mynewsmile.com website. They have a search app to help patients connect with cosmetic dentists with real artistry and expertise. Anyone from that list will be able to give you any smile you want. While you mentioned you’re happy with your dentures, I’m a little concerned your dentist didn’t give you the whole picture. You’re likely much younger than most denture wearers because you lost your teeth under extenuating circumstances. When your teeth are removed, your body begins reabsorbing the minerals in your jawbone. It does that because our bodies are efficient and recognizes without the roots of your teeth those minerals will be more useful elsewhere. This is why after ten or so years of wearing dentures the elderly develop a squashed looking face. As young as you likely are, you don’t want to age your appearance. Even worse, there won’t be enough jawbone left to retain your dentures. You’ll be completely without teeth again. There is a solution though. If you’re going to re-do your dentures anyway, I’d suggest a completely different procedure—dental implants. These replace the roots of your teeth, saving your jawbone. They have other benefits too. They’re so much more comfortable than dentures. Not only will you look like you have your old teeth back, it will feel that way too. They’re not removable, so you can eat and brush and floss as you normally would without any risk of movement. Is Nail Polish Remover Safe on Dentures? I’ve had the same pair of dentures for about six years now. I haven’t had many issues with them, aside from some adjustments in the beginning, but lately I’ve noticed they’re starting to pick up my cigarette stains more than usual. I tried brushing them, but it didn’t seem to help. Last weekend, I had an outing with my family and, in my haste to make them look nicer, I painted over the teeth with white nail polish. I know I shouldn’t have done this, but at that point, all I cared about was making the dentures look nice. Of course, now they look worse than ever and are picking up even more stains and those won’t fade at all. Is it safe to use nail polish remover on them? At least then I could go back to the way they were. Most dentures are made out of acrylic, very similar to the type of stuff that artificial nails are made from, and most nail polish contains acetone, a chemical that dissolves or degrades acrylic. So, if you’ve ever had your nails done and have been told not to use nail polish remover, this is why. And yes, it will likely further damage your dentures. While you can find nail polish remover without acetone, this isn’t the solution here. Even that could damage them or cause unpredictable results. At this point, your best bet is to go back to the dentist to see if they can professionally remove the nail polish. The lab may have some specialty tools that can help. Failing this, your next options are to have the whole denture replaced or see if they can replace just the teeth. If cost is a concern or you still really love the fit of the appliance, you may be able to just have the teeth that show when you smile replaced. You obviously now know that nail polish is not a good solution to deal with stains. In the future, it’s a good idea to try an over-the-counter denture cleaner. Soaking them to loosen the stains and then rubbing them with a soft denture brush should be enough to remove the stains- especially if you do it regularly. You can also try using baking soda or a very gentle toothpaste. Stay away from anything that says it has whitening benefits, as this usually means it’s abrasive and might scratch your appliance. Actually, the best solution is to quit smoking altogether, but f you aren’t prepared to do that, just focus on giving your appliance regular baths and daily scrubs with a gentle brush to minimize the staining. If I Get Dentures Will I Look Like an Old Person? I was thinking about getting dentures. I have to replace my teeth. They’re all coming out because of an accident. My dentist says they can’t be saved. If I get dentures, will it make me look old? You won’t have to look like an old person just because you get dentures. The biggest thing to determine that will be the quality of the cosmetic dentist you choose. A great cosmetic dentist can give you not just a natural looking smile, but a gorgeous smile. A poorly trained cosmetic dentist can do the opposite. There are a couple of things I’d like you to do before you settle on getting dentures. First, I’d like you to get a second opinion as quickly as possible as to whether or not your teeth can still be saved. If the second dentist says there’s no saving them, then I’d like you to look into getting dental implants. They are more expensive than dentures, but they protect and preserve your jawbone. You’ll be much happier and more comfortable with them over dentures.